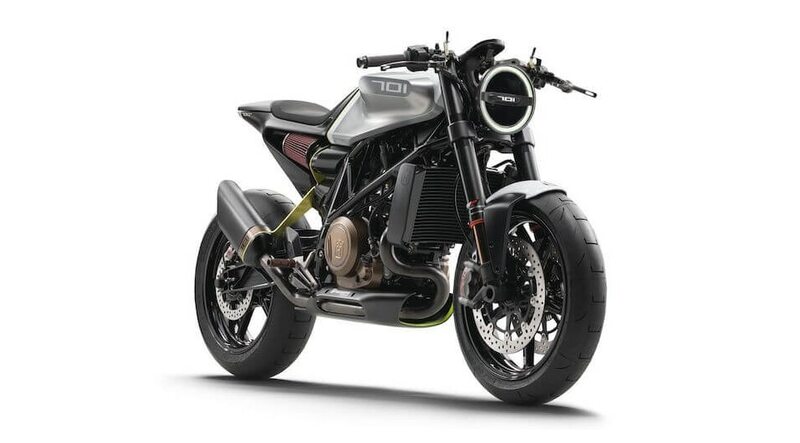 The Svartpilen 701 concept bike, designed by KISKA for KTM Husqvarna. Photo by Schedl R., courtesy of KISKA. International design firm KISKA was inspired by an iconic 1950s motorcycle to create a range of new street-bike models for the Husqvarna brand. Blending simple, cool design and advanced engineering, the company’s designers used technology tools to take the emotional essence of their designs from sketches to 3D models to full-size prototypes to final designs for manufacturing. With the resulting motorcycles—the Husqvarna SVARTPILEN (Black Arrow) and VITPILEN (White Arrow)—KISKA is modernizing classic motorcycle design to win over both seasoned riders and a brand new audience of urban design aficionados to the motorcycling lifestyle. As any advertising pro will tell you, the secret to selling is to make an emotional connection. If you offer a lifestyle, fashion, or aspirational purchase, you’re not selling a product—you’re selling a feeling. KISKA understands that like few other industrial-design studios, which made it the perfect choice to bring back and update the iconic Husqvarna Silverpilen (Silver Arrow) motorcycle sold between 1955 and 1965. Taking inspiration from the original bike, KISKA created two gorgeous new models, the SVARTPILEN and VITPILEN. The VITPILEN 701 is one of two models KISKA designed to reimagine the 1955 Husqvarna Silverpilen. Photo by Mitterbauer H., courtesy of KISKA. The VITPILEN 701 (White Arrow) motorcycle in action. Photo by Schedl R., courtesy of KISKA. So how do you remain a starry-eyed dreamer when the economic or practical realities—like a looming presentation deadline or the race to make a beautiful part that works well—come crashing in? What made the Silverpilen the one to bring back? The ’50s and ’60s were something of a heyday for Husqvarna. In those days, the brand was the epitome of cool, winning motocross races worldwide and attracting fans such as movie star and motorcycle aficionado Steve McQueen. In later years, the brand passed from owner to owner, none of whom looked after it very well—until KTM acquired Husqvarna Motorcycles in 2013. Design lead Craig Dent (center) reviews concepts based on the simplicity of the classic Husqvarna Silverpilen with his team. Husqvarna’s goal for reviving the Silverpilen was to create a street bike that would appeal to new audiences as well as seasoned riders. The bikes needed to be both easy and fun to ride in order to reach millennials and entice new riders into the motorcycling lifestyle. Approachable design and maneuverability, geared for urban riding, would attract urban style and design buyers. 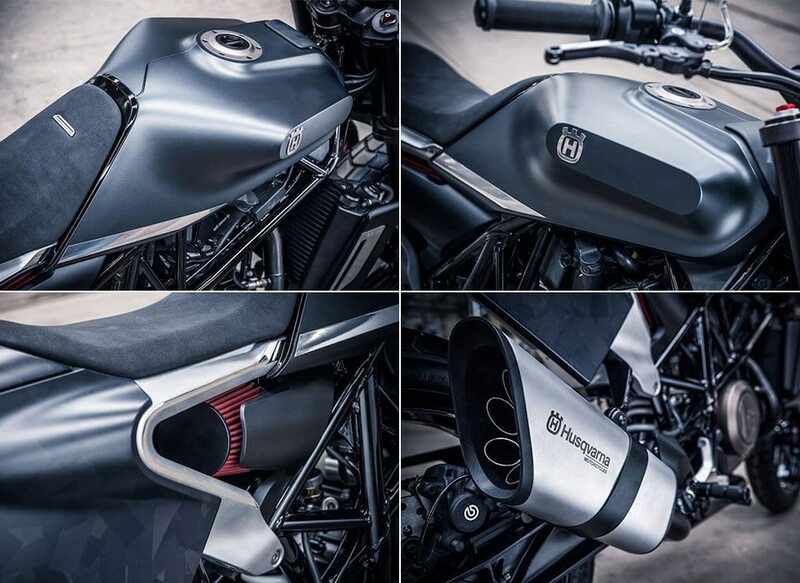 Design details of the Husqvarna SVARTPILEN 701 concept bike. Photos by Schedl R., courtesy of KISKA. KISKA’s approach—where emotional response is the constant touchstone—is no easy feat. But the company found the right techniques and tools to realize the SVARTPILEN and VITPILEN with this goal in mind. Everything starts with pencil sketches on paper. Design staff clear their desks and schedules, put headphones on, and aren’t interrupted for three or four weeks; Dent says it’s where the magic happens. They look for a new and innovative result that stirs emotions, both within the company and with the client. The next step is realizing those sketches in CAD, and Dent calls Autodesk Alias the go-to software to translate 2D sketches into 3D designs. But to elicit emotion, even a 3D picture on a flat screen is limiting. Next comes 3D milling into a design prototype. Data collated through CAD software is converted into toolpaths with Autodesk clay-milling CAM software and run through KISKA’s in-house mill to create the clay model. The clay model is then lovingly crafted and finished in such detail that it becomes the basis for the final designs for manufacturing. After the actual-size prototype is painted the right colors, it’s scanned at very high resolution, and the data is fed back into the CAD workflow, where surfaces and volumes are rebuilt exactly to specifications. Virtual reality (VR) also helps the process along. When the 3D data is plugged into a VR system, the designers can pick up, spin, turn, and inspect the design from every angle, coming as close to a finished reality as possible prior to the milling stage. Concept bike rendered with Alias software. Courtesy of KISKA. 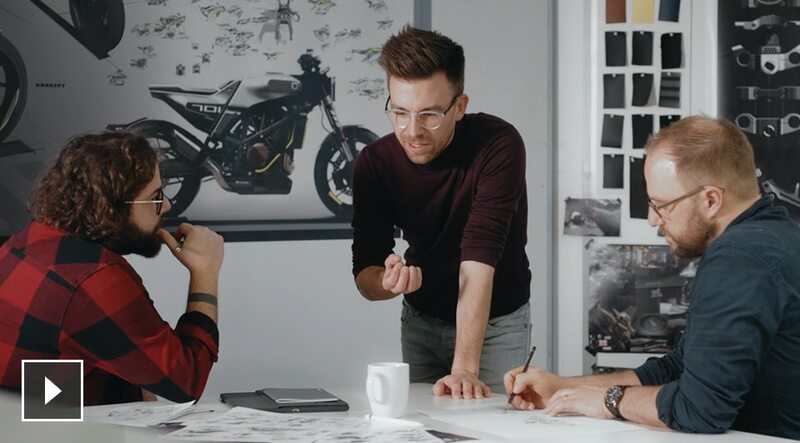 With emotion-grounded designs that attract people who have never considered motorcycling before, KISKA has helped the 115-year-old Husqvarna Motorcycles move toward becoming a lifestyle brand. 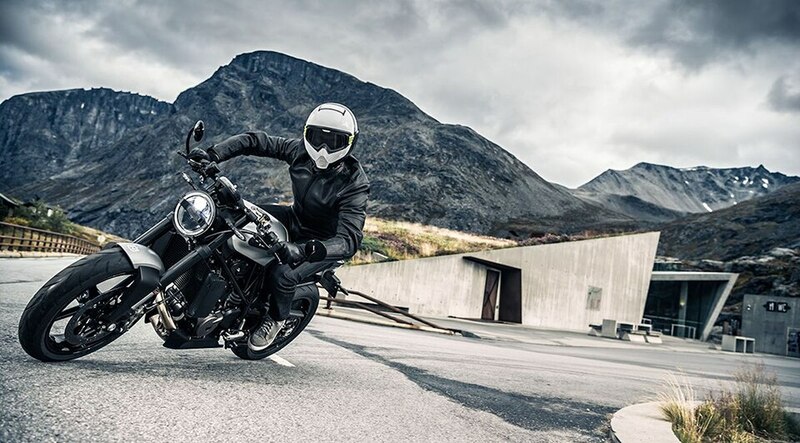 The SVARTPILEN and VITPILEN have won over both experienced and novice motorcyclists with their style and performance: sleek and simple, yet filled with modern technology. The super-lightweight bikes, each weighing in under 350 lb, deliver the thrill of motorcycling with the help of advanced engineering, including a single-cylinder motor with two counter-balancers to deliver a smooth ride, slipper clutches, and ride-by-wire technology that controls the throttle electronically. A version of this article ran previously on Redshift. 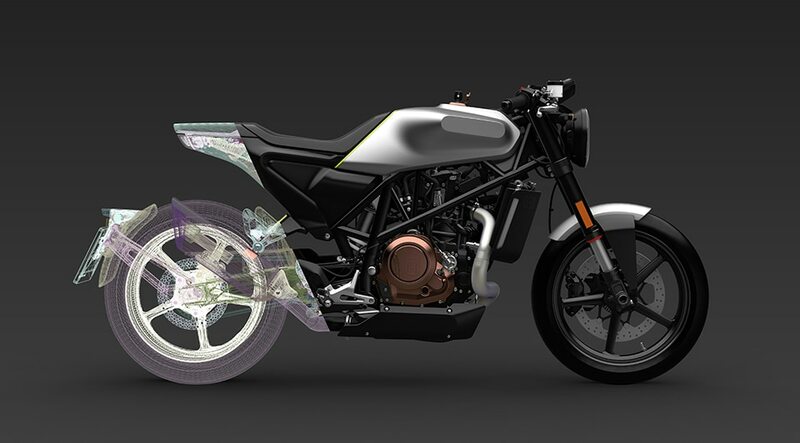 Explore the software KISKA used to reimagine a classic motorcycle design—and find out how the tools in Alias can help you bring your designs to life.